Albert Einstein says “There are only two ways to live your life. One is as though nothing is a miracle. The other is as though everything is a miracle.” When life is hard, prayers feel unanswered, problems are all around, money is not enough – it is hard to see everything as being a miracle. But if we put our heart in the right place, we will see miracles everywhere, because life is full of miracles. 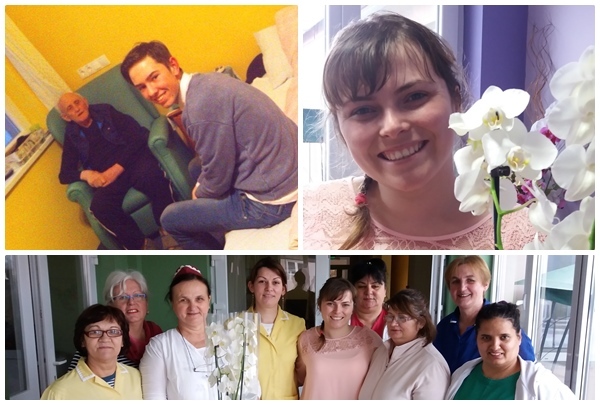 This past month we cared for 86 elderly, 40 in JFL I & II and 46 in ECO and we are grateful to God that we can impact so many lives and spread the love of Jesus. We know we have a lot of responsibility in giving our elderly more that the physical and medical care, but also the spiritual care and because of that we continue our worship meetings every week. I was telling you in my last report to pray because many elderly were ill. Thank you for praying and we praise God for answering ours prayers. But please continue to pray for lady Duma, our artist from the JFL centre, as last week she had a surgery for her face polycystic. She is 88 years old and last year in October underwent the first intervention that went well, but this time there were some complications, so please pray for her full recovery, but also for God to heal her soul too. She will soon come back from the hospital and we ask for God’s wisdom to know how to make her feel secure and loved. 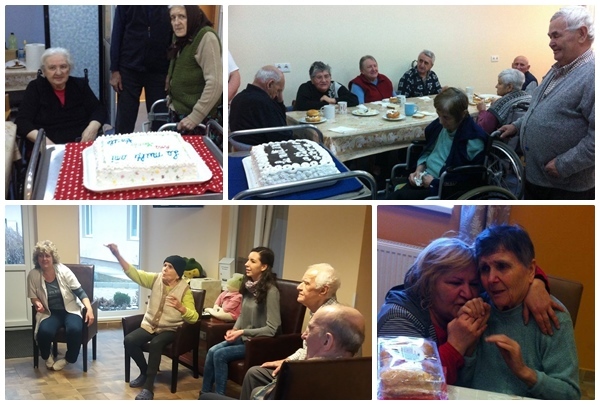 In January Anca Sabo, the psychologist form Gepiu Centre got involved at JFL, coming once a week to assess the elderly, counselling them, helping the new ones to adapt to their new home, doing activities according to their mental condition. In the next report she will share from her 3 month experience and her thoughts for the future. We are so grateful to have her part of the team. It is almost Spring and we all want to look nice. 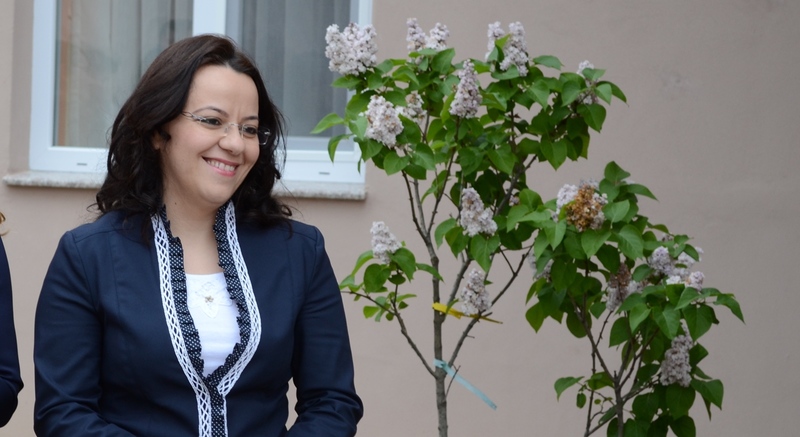 The students from the Professional Academy School in Oradea decided to do a good deed. 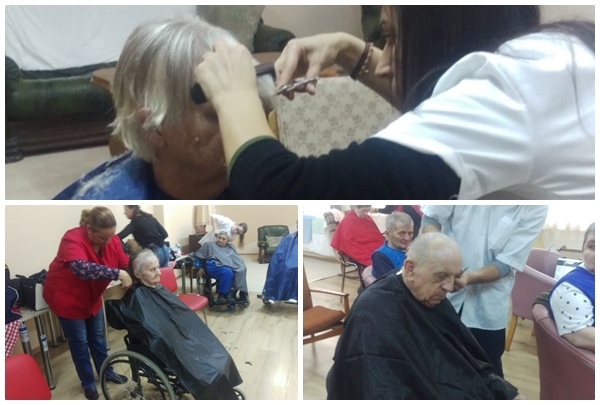 A group of 10 students came to cut and style the hair of our elderly residents. The residents felt so special and were so thankful that they are not forgotten and people that never met them think about giving them a wonderful surprise. 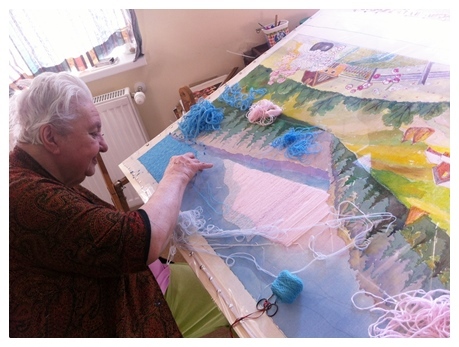 As I told you in my last report, in the Salonta Centre in January Rebeca started a voluntary programme. She encouraged students from the local high school to become volunteers and spend an hour a week every week with the elderly from our two centres. At that moment 10 girls were coming every week. In February another 10 added to the group, but this time one boy came too. We could see how important it was for our male residents to interact with young boys and do activities together. More this month, we saw how important this programme is to our beneficiaries but also for the teenagers. This past month we celebrated Rebeca’s birthday and we are so thankful for her commitment, for everything that she is doing, for being ready to go the extra miles, especially when nobody will see. She brings a smile in the centre when she enters the door and we are so thankful to God to have her. Please pray for her to be able to continue bringing goodness everywhere she goes and for God blessing in her life. Happy Birthday Rebeca, and we thank God for you! We think many times miracles are just those that are so important that we see on the news, but that is not the case. Miracles are all those moments that will change for good our day and will help us to see God’s presence with us in our day to day life. Every day it is full of miracles, a student that spends an hour with an elderly person instead of playing on their phone, a hair stylist coming to a nursing home to surprise a few elderly people and make them feel special, a prayer said in the silence of your home, going the extra mile when no one is looking. Miracles are everywhere so please look for them, but I also encourage you to be a miracle. Being able to do what we are doing in Smiles every day is for me a miracle….will you be a bigger part of this miracle? If you want to get involved…let us know and we will make sure you can be a part of this big miracle called ‘The Smiles Foundation’. I would like to end this month’s report with special thanks to all of you who have already helped us this past month and faithfully do it every month. Please continue to pray for us to be able to bless the lives of the elderly that need our love and support.